Love it! Where is the bag from? This outfit is so nice, where did you buy the shorts? Love your look. I love those shorts. Cute, but comfy! I like it! 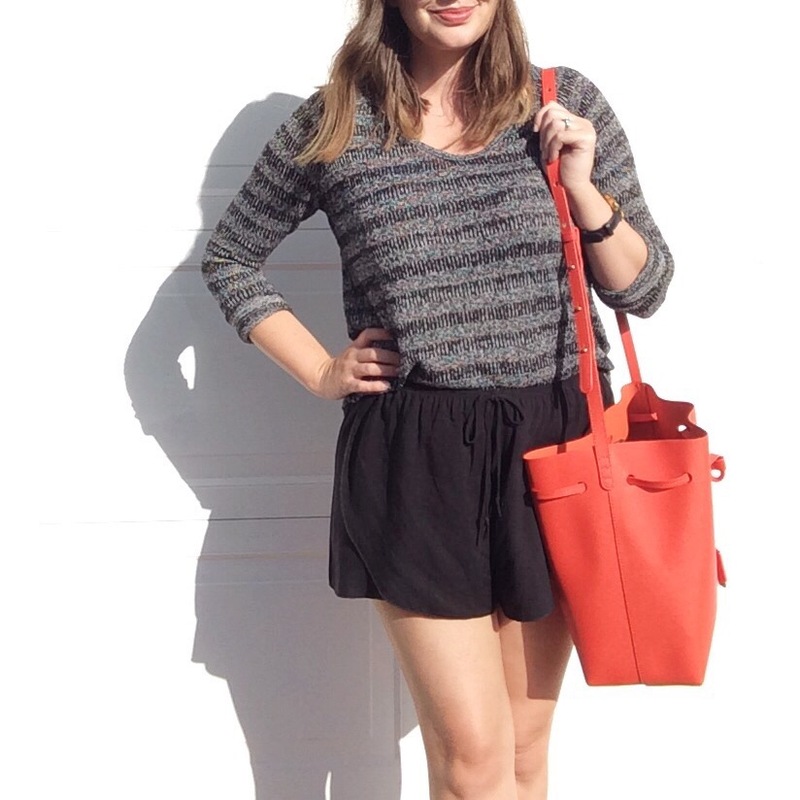 Love the whole look, and that bag… I need that bag! Love the color and the utilitarian size. Cute! Nice splash of color!